She's Okay, We Guess. Still, We Wouldn't Build An Entire Industry Around Her. Today, the story of L’Inconnue de la Seine, or ‘the unknown woman of the Seine,’ is virtually lost to the public at large. Even those encyclopedic human housemice familiar with the obscure tale of the lovely, long-ago suicide know little more about the mysterious young woman than do those legions of people who make better use of their free time. Yet the iconic face of L’Inconnue de la Seine is one of the most recognized visages throughout the world. When It Was Fished From The Fetid Waters Of The Seine, The Waterlogged Corpse Didn't Smell Any Worse Than A Typical French Girl. 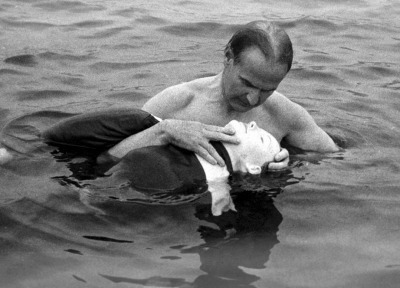 Sometime in the late 19th Century, so the story goes, the lifeless body of a young woman was found drifting in the filthy waters of the River Seine in Paris. 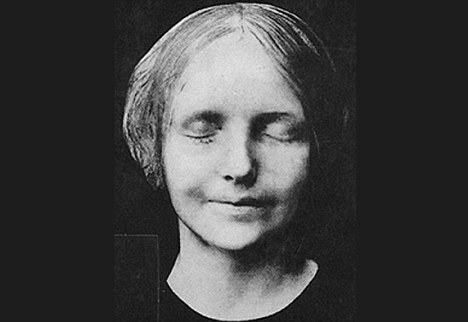 Workers at the morgue thought the waterlogged suicide so lovely that they commissioned the creation of a plaster death mask to capture her remarkable features for eternity. Annie, Are You Okay? Are You Okay? Are You Okay, Annie? Not such a dubious choice as it turns out, the anonymous suicide’s image remained popular for many years, often as a delightful household ornament. But the mysterious deathless girl’s greatest contribution to modern culture is as the face of Rescue Annie, the CPR doll that has provided the first tentative sexual experiences for several generations of adolescent boys. Meet Annie's Tarty Cousin, 'Release Amelia."